In the movie PK, the director could use a better narrative. Using metaphor of lord Shiva is a marketing gimmick. This is a movie for self-proclaimed secular folks. I understand that the movie attempts to give a message but the story telling was derisive to extent of obnoxious. A movie for pseudo secular, pseudo intellectuals. It seems that to be progressive you need to talk bad about a religion, be it Hindu or Islam. The deformities of the society should not be blamed on the religion. Blame the right people or own it up as a society. You do not become any better just by telling the follies. Religion, in fact is a thing made by us only, the purposes have changed though, throughout the course of history. I do believe in god, although when I think too deeply into it then I am led to believe that real gods are the molecules like amino acids and all, which originated life on earth. 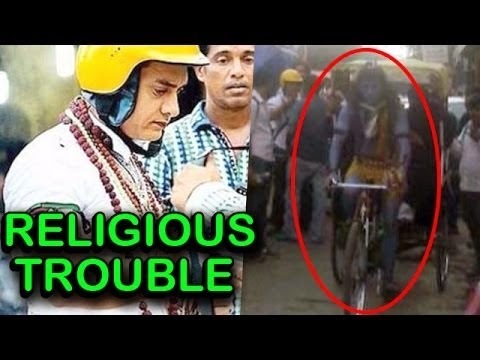 The director while attempting to give a 'message' forgot that he is also using religion for his benefit. Is Amir going to denote 3-4 crore he charges, for the cause of religion reform?